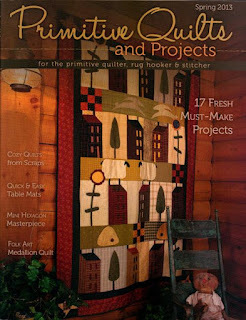 Quilting Adventures: Found another love .....! I do love this magazine and get every issue. I am behind though, took out last years and plan on making the one from cheri with the baskets. I think that will make a wonderful spring piece. 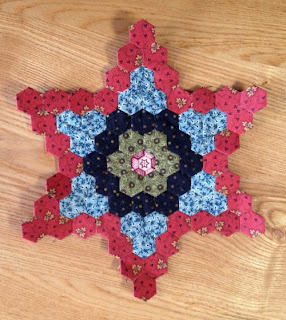 That's the same star I used for my hexi quilt, too. Lots of fun! Oh Dear - I think you just got me hooked! LOL I pulled out my magazine and took a look at it. 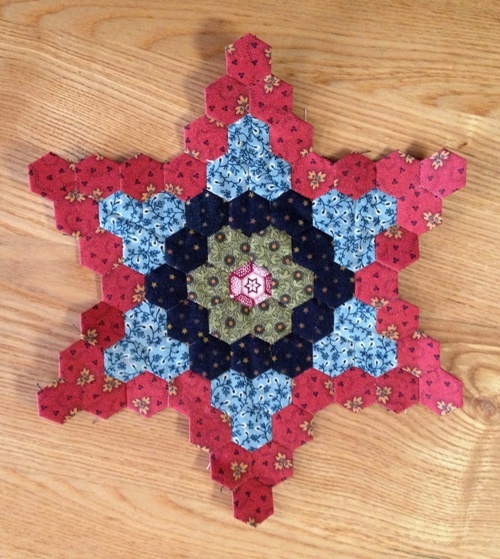 I just finished punching out a whole bunch of mini hexie papers a few nights ago and this would be the perfect project for using them! Thanks for the encouragement! Oooh, it looks fabulous. I LOVE the colors you're using!